The House of the Good Shepherd Women’s Board, established in 1907, is a noble group of women representing the foremost House of the Good Shepherd supporters. The Women’s Board has shaped the course of our history for generations by offering significant financial contributions, volunteer services and advocacy efforts in support of our mission. These women make positive differences in our community, by helping mothers and their children suffering from domestic violence, step out of poverty and into a future free of violence and full of hope and self-sufficiency. Members of the Women’s Board have no involvement in the operations of House of the Good Shepherd. Their sole objective is to raise outside funds to assist the House. 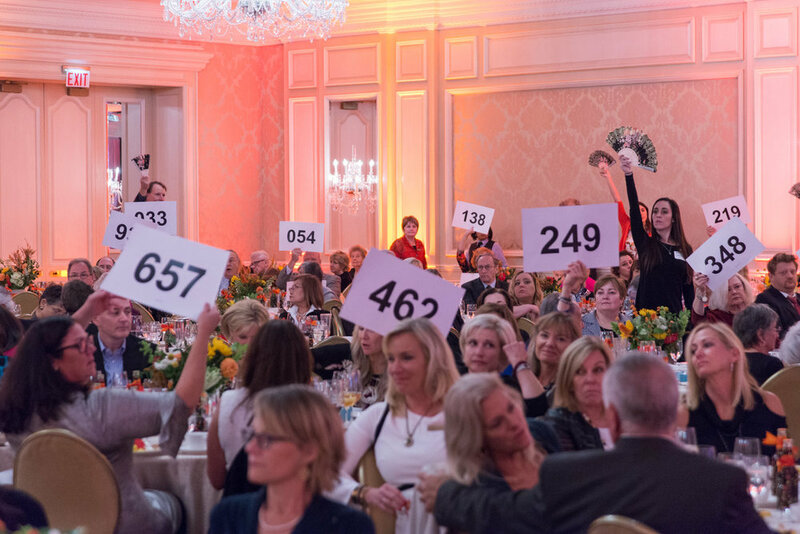 The Women’s Board Annual Brunch & Auction Event provides a vital source of funding for operational expenses at the House of the Good Shepherd. The Women's Board welcomes new members and volunteers. The Women's Board is not just about an annual fundraiser. They get together monthly for meetings and organize volunteer and social activities throughout the year. PHOTOS of the 2017, 110th Annual Brunch and Auction Event, "Spanish Jubilee" at the Four Seasons Hotel.